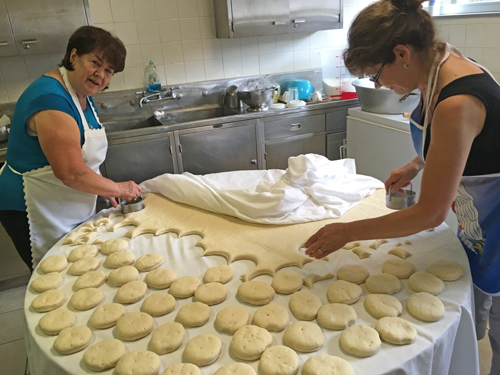 Serbia is located at the crossroads of East and West so Serbian food shares characteristics of the Balkans (especially the former Yugoslavia), the Mediterranean (especially Greek), Turkish, and Central European (especially Austrian and Hungarian) cuisines. The national dishes include pljeskavica (a ground beef/pork patty), ćevapi (grilled minced meat), and Karađorđeva šnicla (Karageorge’s schniztel). The national drink is the plum brandy šljivovica or Homemade rakija . 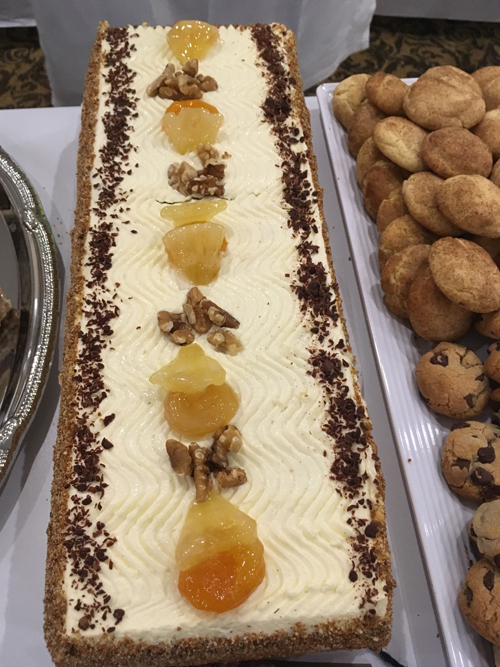 Expect an intricate balance of rich meats, vegetables, cheese, fresh pastries and desserts. It has much in common with the cuisines of neighboring Balkan countries, as well as, to a smaller extent, with cuisines of countries as far north as Germany and as far east as Iran and Pakistan. Eating seasonal food is very important, and many dishes are strongly associated with a specific time of the year. 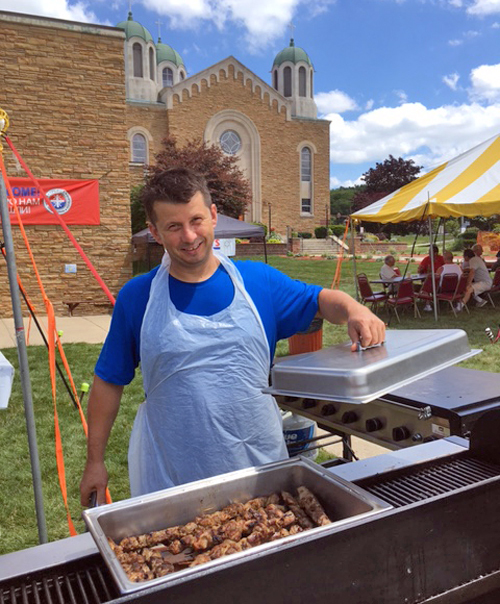 In this short video, Ranka Obrenic tells about the food that was available at the 38th annual SerbFest at St Sava’s Cathedral in Cleveland, Ohio. 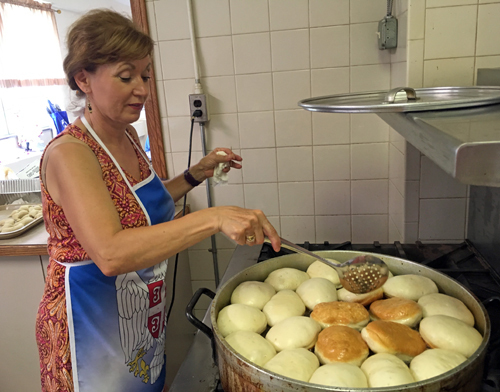 She also told about Serbian food in general such as ćevapi (grilled minced meat) and palatschinke. 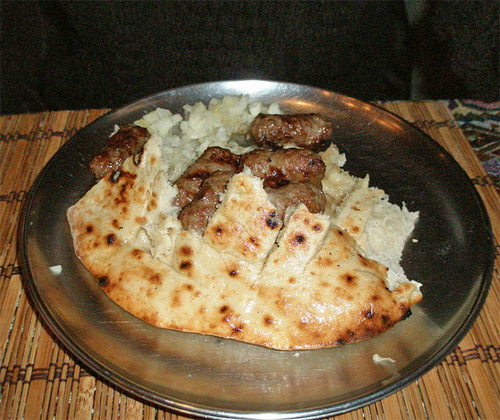 Ćevapi or ćevapčići is a grilled dish of minced meat, a type of skinless sausage and is considered a national dish of Serbia. They are usually served of 5–10 pieces on a plate or in a flatbread (lepinje or somun), often with chopped onions, sour cream, kajmak, ajvar, feta cheese, minced red pepper and salt. Serb ćevapčići are made of either beef, lamb or pork or mixed. 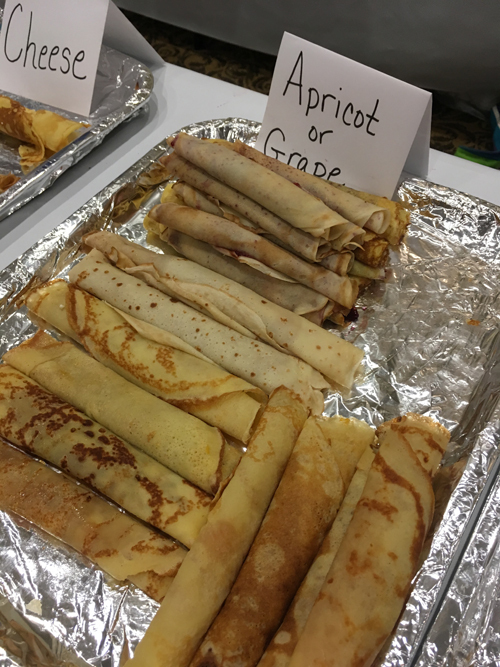 Most ethnic groups have some kind of crepe or pancake. 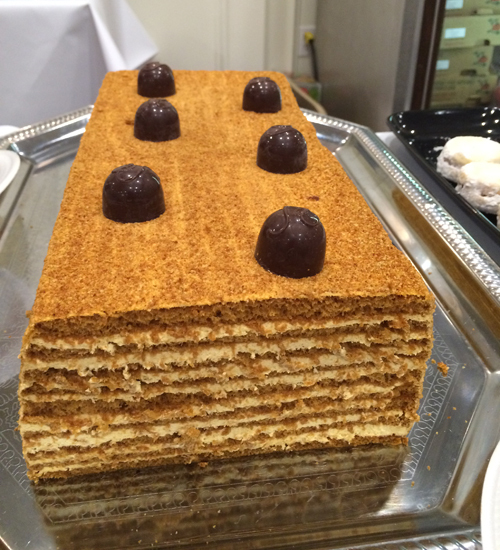 In Serbia they have the palatschinke. Serbian krofne (airy filled doughnuts) are also popular.